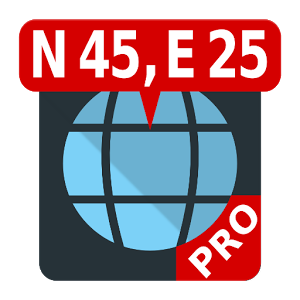 Map Coordinates app is very intuitive and easy to use, designed to help you determine the coordinates of specific point on the map and share them with your friends via email, Facebook, Twitter or Google+ accounts. If your device is rooted and you have checked the share screenshot option, a screenshot of the map will also be attached if you share your location via email. 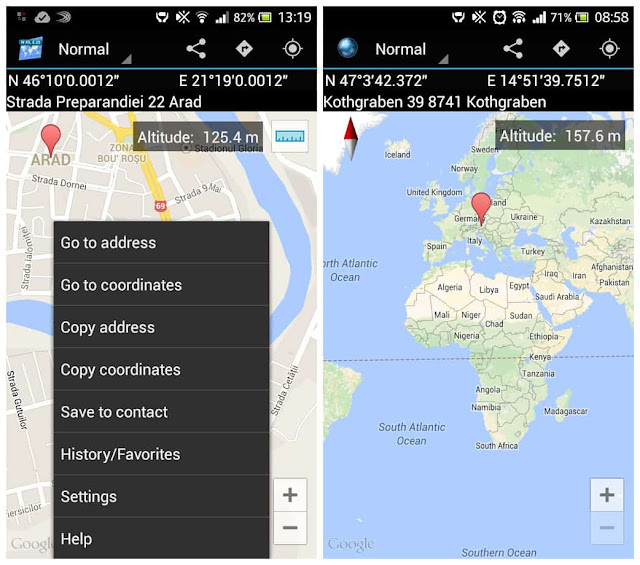 In addition, you can visualize the location on the map of certain coordinates or address. There is also a "Get Directions" button which opens Google Maps Directions feature and displays directions from your current location (or any location that you choose there) to the location pinned in Map Coordinates. This feature is very helpful when you wish to see how much time you need to reach a point and which course you should take. Another useful feature is „Copy to clipboard”. Using it, you copy the selected coordinates or address and paste them anywhere you need.More recent features are „History” which holds all your locations history and „Favorites” which are locations saved by you with a touch of a button so you have your favorite destinations always right at hand.